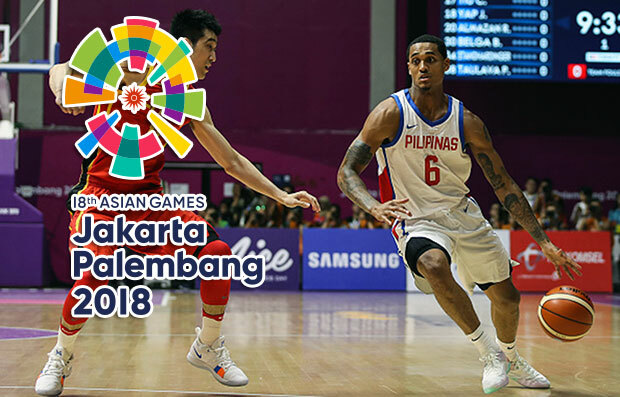 The Philippines’ Gilas Pilipinas is scheduled for a quarterfinals head-to-head match against the team South Korea in the 2018 Asian Games – Men’s Basketball at 11:00 A.M. on August 27, 2018 (PHI Time) live in Jakarta, Indonesia. The preliminary round is over and it’s now time for the playoffs. The Philippines GilastoPainters are getting closer to the gold medal but today they need to pass through their one of their biggest basketball rivals in Asia, the team South Korea. The last time that Philippines able to defeat the South Korea was during the 2013 FIBA Asia Championship which was held in Mall of Asia Arena. That victory catapulted Gilas to FIBA biggest stage or also known as the Basketball World Cup. After that, team Philippines have a hard time beating team SoKor. Their latest defeat was in this year’s William Jones Cup in Taiwan where Philippines was represented by the amateur players of Ateneo Blue Eagles. If that doesn’t count, then probably the most recent legit Gilas vs South Korea match was during the 2017 FIBA Asia Championship which was held in Lebanon. Gilas was eliminated by South Korea in the quarterfinals round in that mentioned tourney. Coincidentally, the two teams will meet again in the quarterfinals round but this time in the 2018 Asian Games. It is expected that the South Koreans will continue to display their long range arsenal. Apart from that, they have added a dominant presence inside the paint. That player is Ricardo Ratliffe who is not new to Philippines basketball as he was a former import of the Star Hotshots (now Magnolia Hotshots Pambansang Manok). Not only that, Ratliffe was also a teammate of Jordan Clarkson in Missouri U. The South Korea naturalized player has already sent a message to his teammates on how to stop team Philippines. “Of course, slowing down Jordan Clarkson and also Stanley Pringle, keep him out of the paint,” said Ratliffe. Although Gilas lost to team China in their last outing, their goal to keep the score close until the end of the game was achieved. However, this time around they should not be contended of the other intangibles but winning this game is a must in order for them to move to the semi-final round. Gilas head coach Yeng Guiao and his staff did their assignment on scouting the opponent. They already have a glimpse of what the South Korea will do in their offensive plays. “They don’t have the length of China but they’re definitely quicker, they have more movements and they have better shooters,” said Guiao. “Korea is a team in perpetual motion. Nobody watches the ball. Four guys always move, making the coverage harder. You have to look at the ball while at the same time you have to stay connected with the shooters,” he added. Despite of how good South Korea when it comes to beating team Philippines either on paper or as per history, coach Yeng have something new that the previous Gilas or team Pilipinas don’t have in their lineup before. That is an active NBA player in his roster and that guy is Jordan Clarkson. “We are expecting him to play even better than in the China game. (We expect him to be) more efficient. I’m not saying he will score more than 28 points but I think the more important thing is he is going to be more efficient, increase his percentages, and create situations for his teammates, which means probably more assists,” said Guiao. The winner of the game will meet the winner of the Iran vs Japan match in the semis.